Russian football player Mamayev appeals two-month detention | Russian Legal Information Agency (RAPSI). 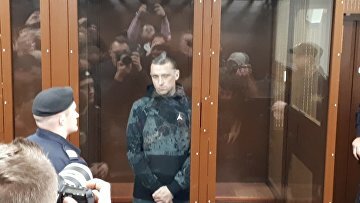 MOSCOW, October 15 (RAPSI) – Krasnodar football club star Pavel Mamayev, who is suspected of hooliganism and battery, has appealed a ruling on his detention, attorney Igor Bushmanov has told RAPSI. On October 11, the Tverskoy District Court of Moscow ruled to detain Mamayev and Zenit St. Petersburg's Alexander Kokorin until December 8. Kokorin’s brother Kirill and coach Alexander Protasovitsky were also detained last week. Kokorin and Mamayev allegedly initiated two fights in central Moscow in the early morning of October 11. According to the police, a driver of a Russian TV journalist received a nose fracture during a first incident on a street in central Moscow. Criminal cases over hooliganism and battery were opened against the football players.